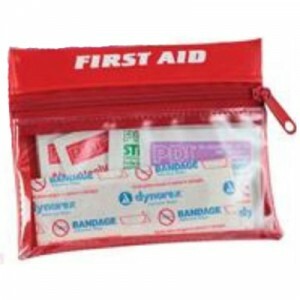 Our First Aid Kits are back in stock and are better than ever! 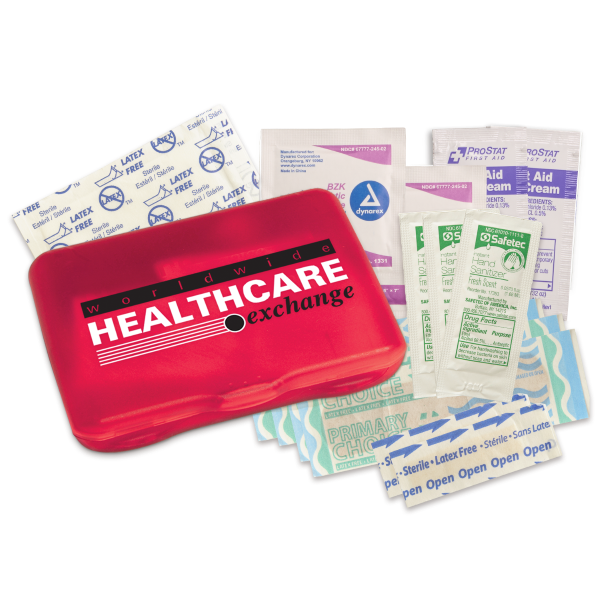 Each First Aid Kit is enclosed in a Contemporary case and includes 4 latex-free bandages, 3 hand sanitizer packets, 2 snip bandages, 2 antiseptic towelettes, 2 First Aid cream packets, and a 2″ x 3″ adhesive pad. Shipping: Standard shipping at UPS Ground rates. Other shipping options available. Standard shipping at UPS Ground rates. Other shipping options available.